2018 Michigan Good Food Summit - Save the Date! 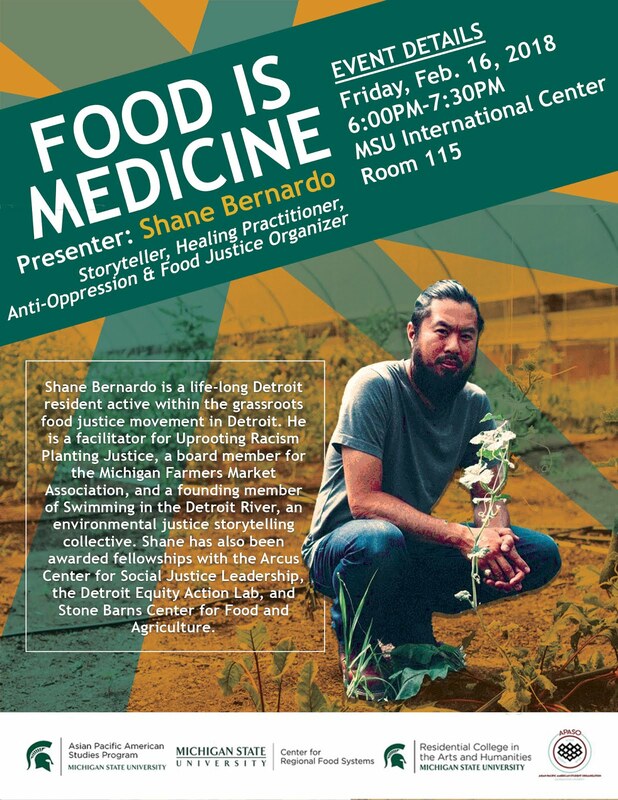 Shane Bernardo is a life-long Detroit resident active within the grassroots food justice movement in Detroit. He is a facilitator for Uprooting Racism Planting Justice, a board member for the Michigan Farmers Market Association, and a founding member of Swimming in the Detroit River, an environmental justice storytelling collective. 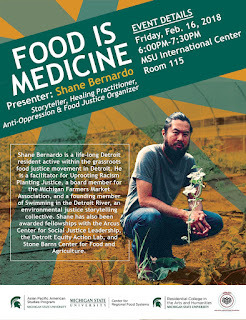 Shane has also been awarded fellowships with the Arcus Center for Social Justice Leadership, the Detroit Equity Action Lab, and Stone Barns Center for Food and Agriculture.